Lynxes are graceful, beautiful creatures whose noises don't seem to match their stunning exteriors. But they aren't alone -- plenty of other animals also produce strange sounds that throw the brain for a loop upon hearing them. 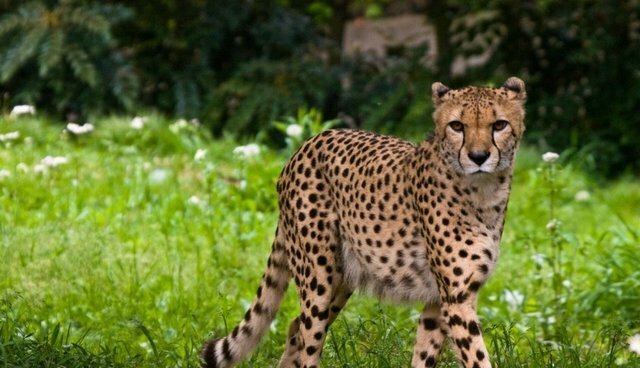 Cheetahs may be swift runners, but they sound more like birds in flight -- literally. The big cats chirp when communicating with other cheetahs, to avoid attracting another, less closely related relative: the lion. Brushtail possums are small marsupials that live primarily in Australia and New Zealand (where they were introduced with disastrous effects), but they sound more like cars that refuse to start. The animals are known for having a revving chortle, which truly resembles the noises made by broken machinery. Pirhanas bark. Yes, that's right: they bark like dogs. The predatory fish makes an array of different vocalizations, specifically when prompted for "combat." They've also been recorded making a low, thudding noise, which researchers suspect means they're ready to fight. Koalas have shockingly low "voices" for animals of their size, thanks to a unique organ that helps the small animals produce sound. The pitch of their vocalizations is so low that it might be more fitting of an animal as large as a dinosaur -- which is why koala noises served as the primary inspiration for the T. Rex sounds featured in Jurassic Park. Northern mockingbirds are known for being exceptional imitators, mimicking noises of birds much larger and more predatory than themselves. They sing at all hours of the day, but they don't always sing the same tune: sometimes, the tiny songbirds will mimic frogs or even car alarms.